So, you have decided to give fencing a try. What sould you bring on your first night? What will happen? What to Expect on Your First Night. Hopefully you have decided to join one of our beginner's courses which offer a far better introduction to fencing than just turning up. All of the essential protective clothing and swords are available to borrow from the club until you decide to buy your own kit. Try to arrive a few minutes before 8pm so we can get you started at 8. An experienced will go through the very basics with you, this will probably start with footwork but don't worry you will get to use a sword. We usually start people with a foil, once you are comfortable with the foil, if you would like to try one of the other weapons go for it but that won't happen on the first night. Most importantly, come prepared to enjoy yourself. In short, no not really. 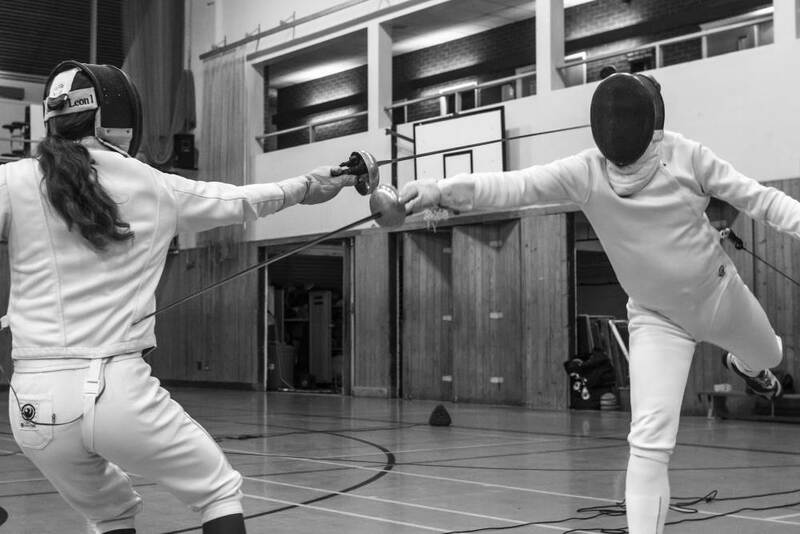 The occasional hit might be a little painful for a few seconds but in general fencing is probably less painful than most other sports such as football or tennis. You are not going to be wielding a sword like Indigo Montoya on your first night, so don't go booking duels against your mortal enemies just yet. Nor will you be swinging from the chandeliers, Stantonbury have asked us not to do this as it breaks the light fittings.